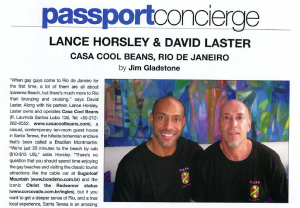 Casa Cool Beans Featured in PASSPORT! 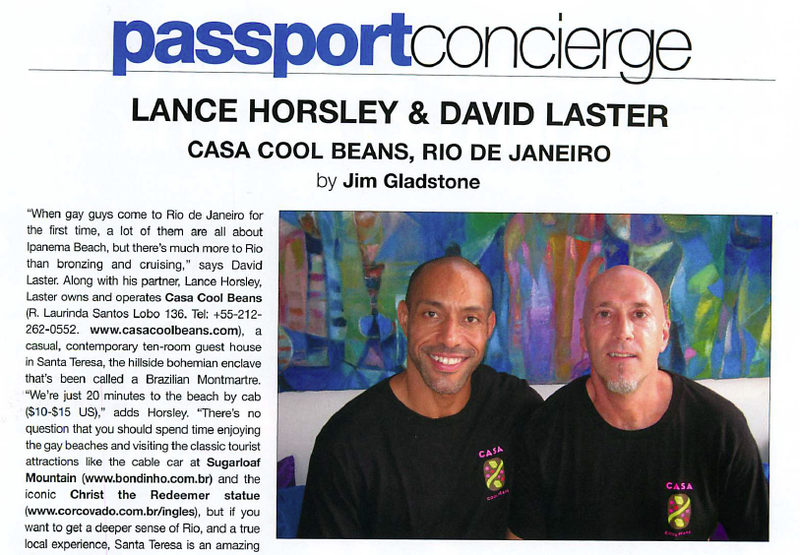 Casa Cool Beans is thrilled to be featured in the May 2013 issue of Passport Magazine. Owners David & Lance talk with Passport about the Santa Teresa neighborhood and top excursions in Rio! Click here to download a pdf of the article!